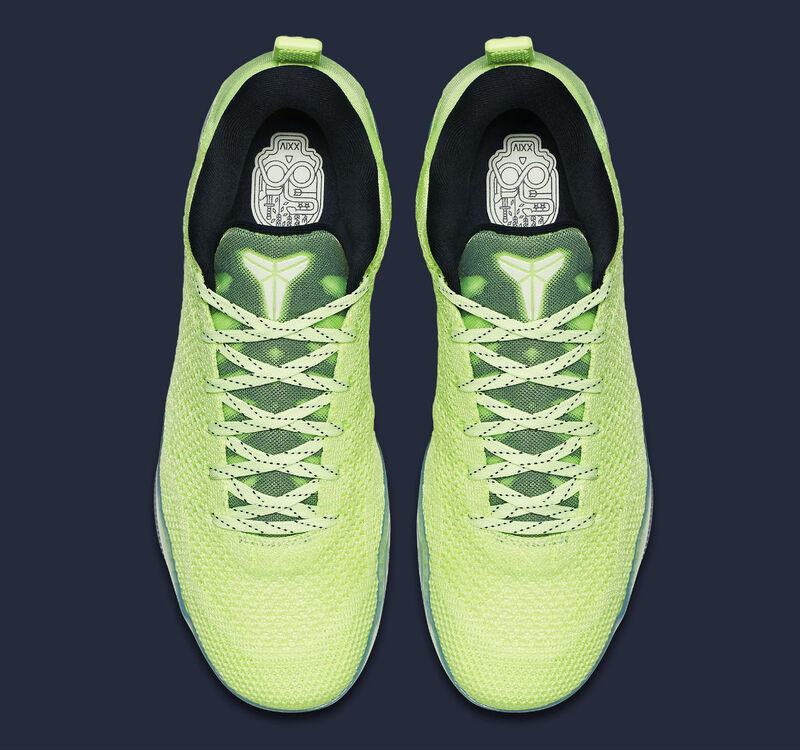 New details on the "Liquid Lime" colorway. With the White, Red, Black and Pale Horse releases already unveiled, the next Nike Kobe 11 Elite 4KB has surfaced, and it's unlike any of its predecessors. Starting with the base color, a vibrant shade of green called Liquid Lime covers most of the shoe's Flyknit-constructed upper. What truly separates this pair from others is the minimization and repositioning of the Swoosh logos on the sides. 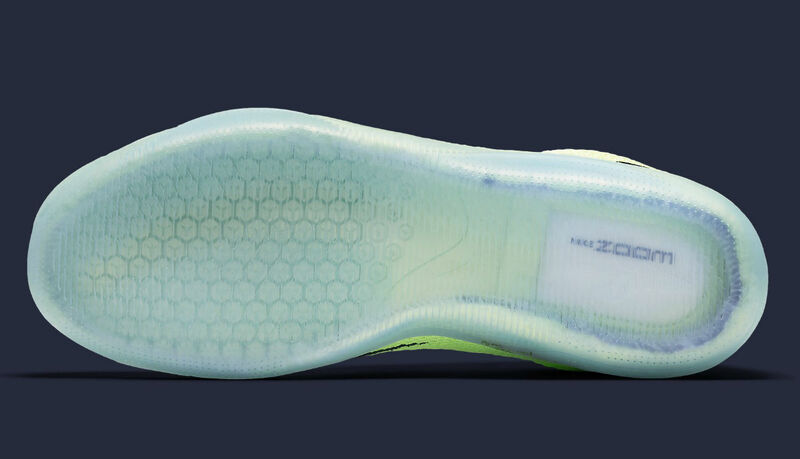 Heel details and insole branding are consistent with those found on the "Pale Horse" colorway. 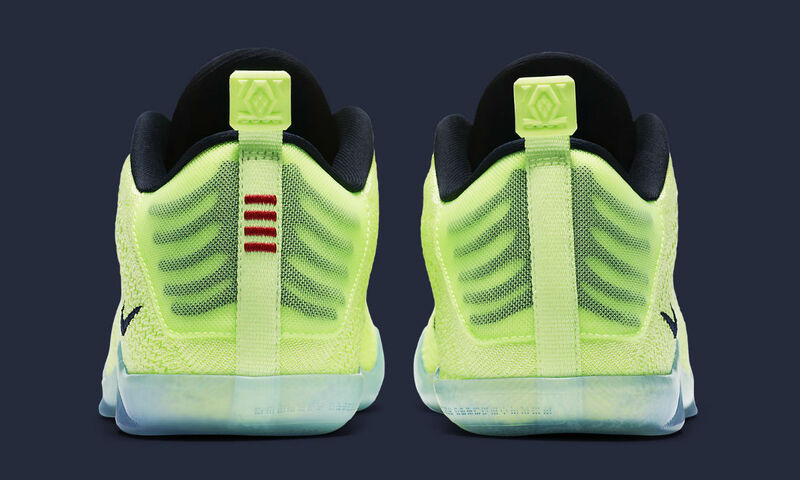 Read on for a look at the "Liquid Lime" Kobe 11 Elite 4KB from every angle and stand by for a confirmed release date.